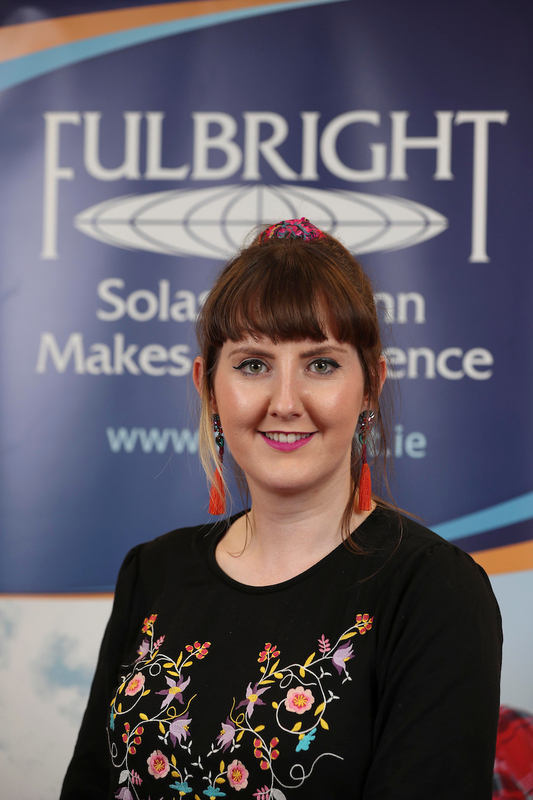 Ms Jill Mc Mahon has a first-class honours degree in Irish & Journalism from Dublin City University, as well as a Masters of Philosophy in Digital Humanities & Culture from Trinity College Dublin. Jill has a lot of experience with different aspects of the Irish language, working for a time with Fiontar, DCU in research, terminology and folklore. She has spent time working with Gaeloideachas, the support organisation to Irish-language primary and secondary schools, and her most recent role was working with Conradh na Gaeilge as Education Officer. In her spare time, Jill is heavily involved with her Irish-language GAA club, Na Gaeil Oga, and both plays camogie and has served as a committee member for the past 2 years. As a Fulbright FLTA, she will take classes and teach the Irish language at Elms College, Chicopee, Massachusetts.